He was not Irish. He was a British Celt. 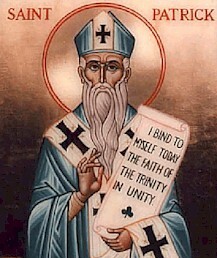 He was not necessarily the first missionary to Ireland. The only documents about Patrick are his Confession and a letter he wrote to Coroticus. 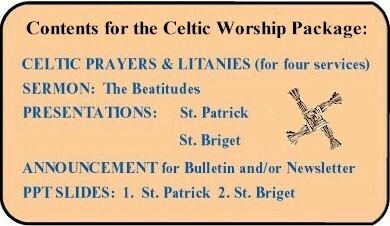 St. Briget of Ireland was an early Irish Christian nun, abbess, and founder of several monasteries. She is known for her hospitality, evangelistic fervor and the famed braided straw cross. 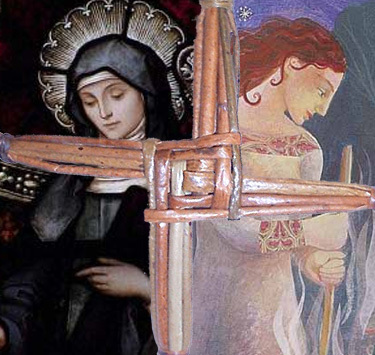 The best-known custom connected with Briget is the plaiting of reed crosses for her feast day. 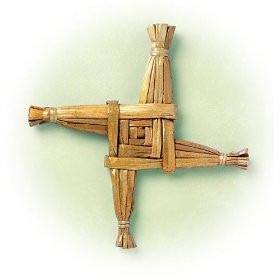 This tradition dates to the story that she was plaiting rush crosses while nursing a dying pagan chieftain. He asked her about this and her explanation led to his being baptized. L: We see signs of summer's passing in golden leaves. P: shortening days, misty mornings, autumn glow. P: winds that chill, Harvest's bounty placed on show. P: when kissed by Spring's first touch.